The Officepro Brewing System heats and brews in under minutes. It comes with a 48 oz. easy-to-fill reservoir and a choice of three cup sizes. Its Auto-Off feature switches it off two hours after not being used. This commercial coffee machine is designed to meet Keurig©’s quality standards, cup after cup. This stylish coffee machine is the ideal choice for businesses that need a fast and efficient workhorse. Colleagues and clients alike can indulge in coffee, tea, and hot chocolate from around the globe at the push of a button. Small businesses are sure to reap the rewards of premium coffee in their offices with this reliable and efficient machine. Experience tastes and blends from all over the world with our selection of K-Cups© coffee pods. Explore blends from internationally recognised brands like Starbucks©, Green Mountain Coffee©, Barista Prime Coffeehouse© and Twinings© amongst many others. Our range of K-Cups© are guaranteed to satisfy the tastes of coffee connoisseurs and tea lovers alike. 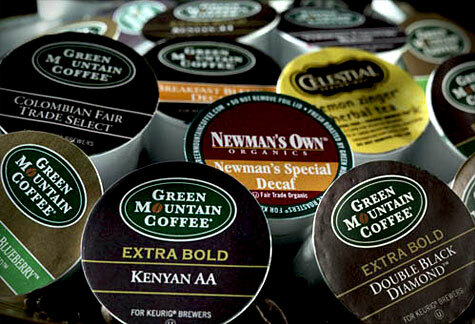 Did you know that at The Coffee Delivery Company, we sell and deliver a range of K-Cup© coffee pods as well? Check out the promotion video below on all the features of the Keurig© Officepro Brewing System. If you would like to know more about The Coffee Delivery Company or you are interested in coffee machines for your office, please call us on 0330 123 3309. Alternatively, you fill in our contact form or chat to us on our website and we will get back. We look forward to hearing from you.